Thank you so much for your generous gifts! You can still give to the #UMcompost project even though our online project has ended. We will still gladly accept donations to our permanent fund. Please visit www.umfoundation.com/umcompost. Thank you! 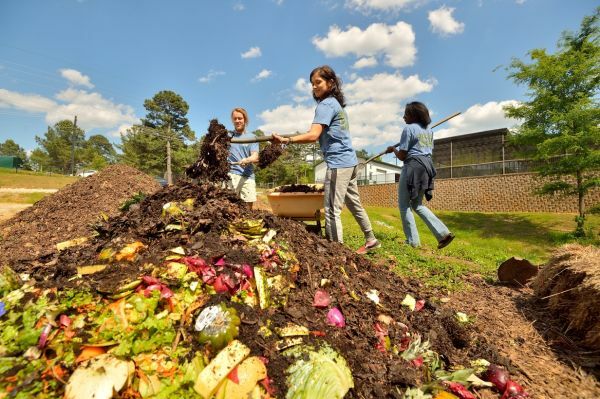 The pilot composting program at the University of Mississippi began in 2013 after Victoria Burgos, now a senior recreation administrator, and Caroline Williams, a 2012 chemical engineering graduate, began working to reduce waste on campus. During the first year, students on the UM Compost Team picked up food waste from the Marketplace at the Residential Colleges and composted about 5,000 pounds of the discarded scraps. In Fall 2014, the compost program expanded to collect food waste from additional campus dining facilities, including the Marketplace, Rebel Market, Freshii and Ole Miss Catering. 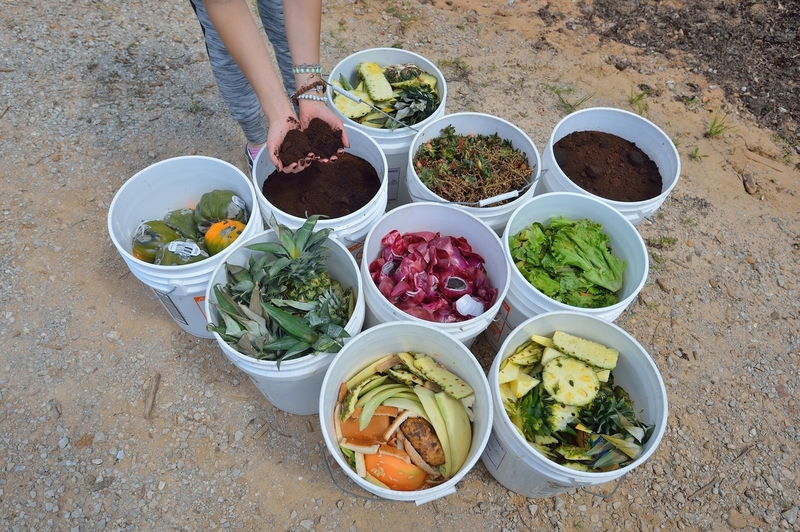 In the 2014-15 academic year, the UM Compost Team composted more than 30,000 pounds of food waste. The project, which has diverted more than 50,000 pounds of food waste from the landfill so far, will take on campus Starbucks and Einsteins locations during the 2016-17 academic year. 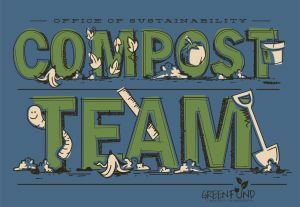 The compost program was originally funded by the UM Green Fund, which supports new sustainability initiatives on campus. However, to continue, the program needs more funding than the Green Fund can supply. Your donation will help fund a student intern who will work on the project for the 2016-17 academic year. Compost Team members gain valuable hands-on experience running the project, coordinating educational volunteer opportunities and converting waste into soil. Composting is the process by which organic materials are broken down by microorganisms at relatively high, yet stable temperatures. This process results in the generation of a nutrient-rich soil amendment called humus. Because of the high quality of finished compost, individuals who use it in their gardens do not need to rely on synthetic and chemical fertilizers to add nutrients to their soil. In a landfill, layers of trash block the flow of oxygen to decomposing food scraps. This anaerobic decomposition results in the emission of methane, a greenhouse gas that is 20-25 times more potent than carbon dioxide. The EPA estimates that food waste contributes to about 18 percent of total methane emissions from landfills, and that landfills are the third largest contributor of methane in the U.S. Methane emissions caused by landfilled food waste have become such a problem that the EPA and USDA announced the nation's first-ever food waste reduction goal in September 2015: to reduce landfilled food waste by 50 percent. Food in a compost pile breaks down naturally, greatly reducing the environmental detriment of your breakfast, lunch and dinner. How does the UM Compost Program work? The program employs a team of five interns who collect food material, including fruits, vegetables, grains, eggs, coffee grounds and more. The food waste is then combined with dry, nitrogenous materials such as wood chips and leaves. These materials decompose for the duration of the semester on a plot of land at the Maynard W. Quimby Medicinal Plant Garden on campus. The decomposed materials create a rich soil amendment, which is then used at various gardens both on and off campus. The compost is regularly used by the UM Garden Club to grow fresh produce for the university's food bank on campus. Where does the food waste come from? The food used by the UM Compost Program is comprised of kitchen scraps from Rebel Market, the Marketplace at the Residential Colleges, Freshii, Ole Miss Catering, the Grill at 1810 and all P.O.D. locations on campus. The program uses pre-consumer food waste (kitchen scraps), which is collected by Ole Miss Dining staff as they prepare meals for the day. Also, once per semester, the team works with the UM Food Bank to compost expired food and recycle the food packaging. What happens to the finished compost? 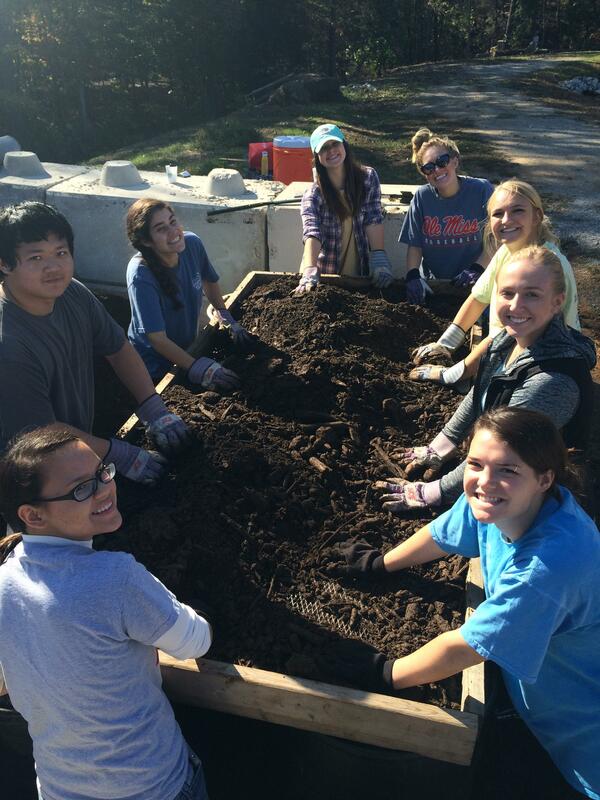 When the compost is finished decomposing, it is sifted by student volunteers to create a finer product for gardeners. 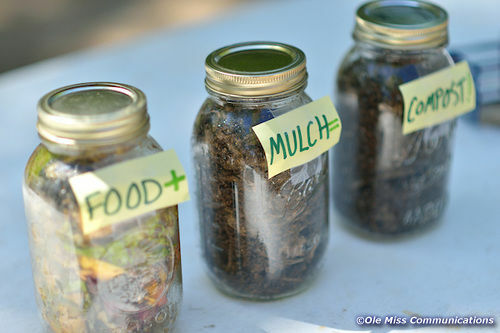 If you are interested in using compost from the project in your garden, e-mail green@olemiss.edu. Friday, April 15 - Sustainability Day of Service Sift-A-Thon - Student volunteers will sift and bag finished compost from 11 a.m. - 2 p.m. at the Medicinal Plant Garden on Insight Park Avenue. Wednesday, April 20 - UM Green Week Sustainability Fair - Visit the UM Compost Team at the Sustainability Fair on the Student Union Plaza from 10 a.m. - 2 p.m. for a chance to learn about the program, win prizes and more! Thursday, April 21 - Brunch & Bloom - See the compost in action, learn about gardening opportunities and enjoy a free lunch at the UM Campus Garden (located behind Residence College South) from 11 a.m. - noon. Check out our giving levels to the right or give a gift of any amount; your charitable donation is tax deductible. Does your employer match employee charitable gifts? If so, you can sometimes double or triple the impact of your gift to Ole Miss. Please visit our Employer Matching Gift Search Page. If your employer matches, please request a matching gift form from your human resources department. In addition to your monetary gift, you can make an impact by becoming an ambassador for the UM Compost Ignite Campaign and sharing our message with your family and friends via email and social media. 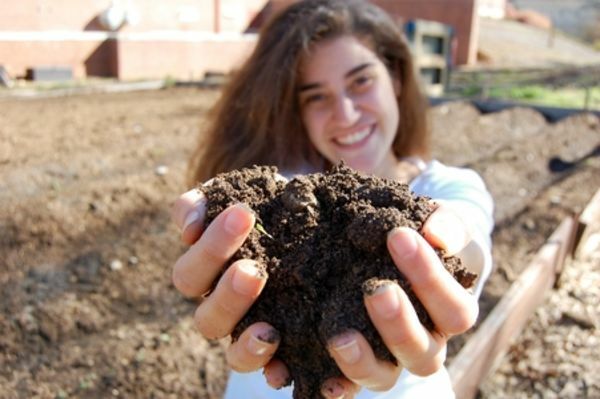 Please share our project link: ignite.olemiss.edu/umcomposting and use #UMCompost. Please follow the UM Office of Sustainability on all our social media feeds: Facebook, Twitter, Instagram, and YouTube. Thank you so much for your support of the UM Compost Program and for sharing our message. Together, we can make a difference. For more information, contact Lindsey Abernathy, project manager in the UM Office of Sustainability, at lmphill2@go.olemiss.edu. Did you know that the UM Compost Team has provided almost 5 cubic yards of compost to the UM Garden on campus? 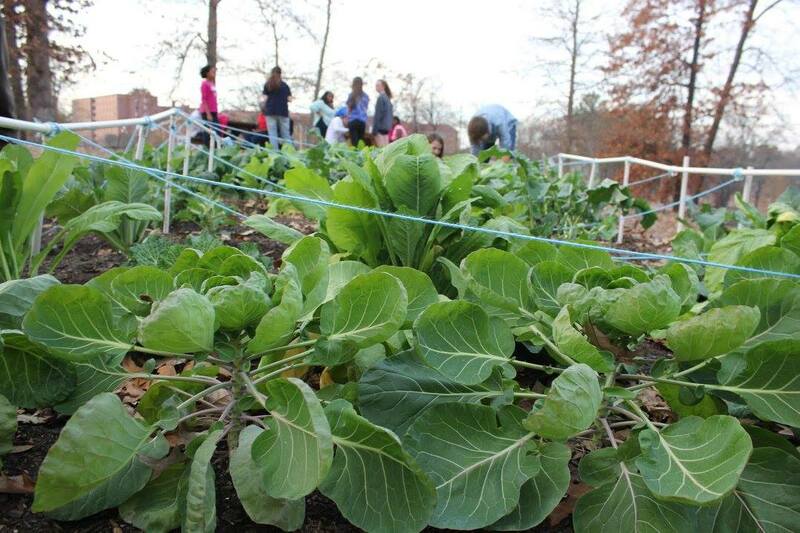 Members of the UM Garden Club use the nutrient-rich compost to grow food for the Ole Miss Food Bank. Ole Miss students composted 13 tons of food waste from Rebel Market, the Grill at 1810 and the Marketplace at the Residential Colleges during 2015. Food in a landfill emits methane gas—a greenhouse gas that is 25 times more potent that carbon dioxide. In a compost pile, food decomposes naturally and without emitting methane, greatly reducing environmental pollution. Did you know that 40 percent of food waste in America is thrown away? While composting is a better alternative to landfilling, the best option is to plate thoughtfully and be careful to take only as much as you can eat. In just one day, diners in Rebel Market throw away enough food to feed 60 people comfortably for a month. Thanks to Ole Miss Dining staff members who collect the food to be composted as they prepare meals throughout the day, students were able to compost 99 percent of all food collected during the 2014-15 school year. Diners at Rebel Market throw away an average of 414 pounds of food per day. This is enough food to feed one student for 3.5 years—almost the entirety of his or her college career! When the UM Compost Project expanded to Rebel Market in Fall 2014, the amount of food waste they took on increased by 1,030 percent!